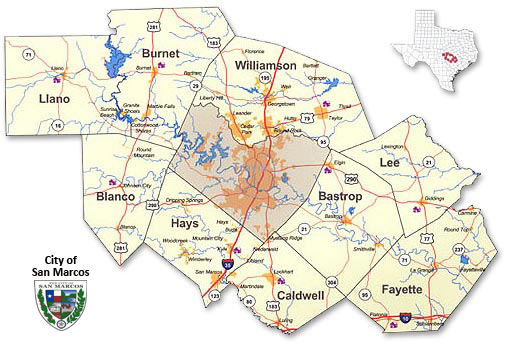 The Capital Area Housing Finance Corporation (CAHFC) serves a nine (9) county region in central Texas with a total population of over 2.1 million. Members represented include Bastrop, Blanco, Burnet, Caldwell, Fayette, Hays, Lee, Llano and Williamson counties and the City of San Marcos. The area is centered on the City of Austin and Travis County although these entities are not members of CAHFC and have their own Housing Finance Corporations.